Goulburn Car Removal is a professional car buyer & wrecker. We believe in providing vehicle owners with the services they require in a convenient and stress-free manner. We collect Used, Scrap, Junk and Accident Cars, focusing on eco-friendly Car Removals & Disposals with each vehicle we remove. Your vehicle is no loss no matter what its make & condition as we recycle all parts, metals & steel of the vehicle. We also guarantee cash! There’s no money transfer, or the cheque is in the mail, simply a cold hard cash payment that we guarantee to be our highest offer. 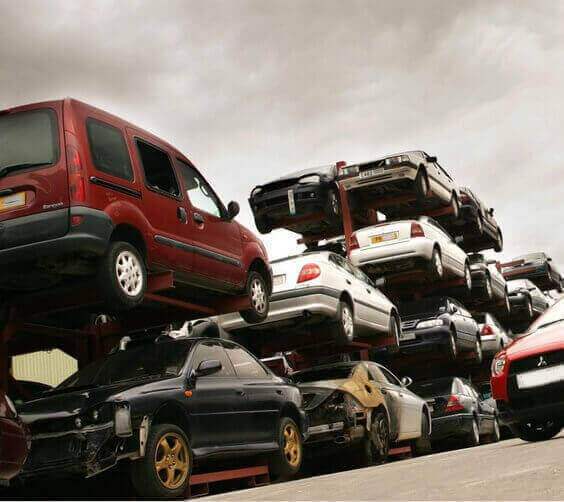 We are a Cash for Cars & Cash for Scrap Cars buyer that doesn’t make the process of selling your vehicle a hassle. We don’t require lengthy negotiations or lots of red tapes. We simply have you call us letting us know you’d like to sell your vehicle, and we’ll make you an offer. Just provide us with a complete description of your vehicle and we guarantee our highest offer. Goulburn Car Removal offers reliable towing services at no charge. Our car removal technicians arrive promptly to inspect quickly and remove your vehicle at the scheduled date & time. Our car removal technicians are trustworthy with years of experience and guarantee not to haggle over our quoted price once we arrive. Our car removal system is one that we are quite proud of as it is the fastest & most convenient means to sell your vehicle for the best price. We are a salvage yard in Goulburn that is considered the Car Recycling experts. This is because we have exceptionally skilled wreckers that can recycle a vehicle to get the maximum value from their vehicle. We don’t require that you draw up a sales contract; we bring one with us. We also don’t require that you make repairs or polishing the vehicle. We simply ask that you have the inside of your vehicle cleaned with all personal belongings removed and that the plates are removed. We also will require the title of ownership to the vehicle and your photo ID. With that, we’ll provide our cash for cars cash payment for your unwanted vehicle. Call us at 02 8355 7345. Complete our “Get a Quote” form located at the top right of this page. With a full description of your vehicle, we can make you a cash for cars offer that we guarantee to be our highest offer. Our business is Car Buying & Wrecking, and one that we have fine tuned to be the best car selling experience for vehicle owners. For an instant cash quote, contact us at the number below.